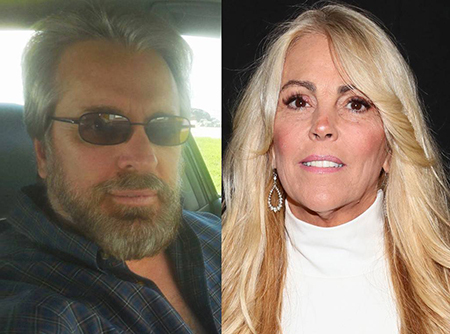 Dina Lohan's online boyfriend break up with the star and reportedly she was suspicious before the split. Dina Lohan and her online boyfriend, Jesse Nadler finally called it quits after five years of online dating without ever met in person. Dina Lohan and her online ex-boyfriend, Jesse Nadler. Recently, her ex-flame, Nadler said in an interview, that he broke it off with the Lohan, after a dispute over a Facebook photo. The 56-year-old star, reportedly, went off on Nadler over a post which she thought was about a woman and gets upset but in reality, it was about his friend's book. Lohan in 2016 at an event in New York City. Later, while Lohan tried to apologize Nadler over the phone, he said he was enough and ended their relationship just a week before their first physical interaction. Lohan first mentioned about her online boyfriend on Celebrity Big Brother in February, where she told her co-contestant about being in a relationship from the past five years. She also added, she never met him or even video chatted. While Dina seemed confident about her love life, her fellow houseguests suggested she was being catfished and MTV’s Catfish host Nev Schulman even offered to her. Back in February, Nev revealed the identity of the Lohan's Boyfriend whose name is Jesse Nadler, a 53-year-old and he is from Tiburon, California. Later he tweeted confirming Jesse as Dina's online love interest. At the time, Nadler also tweeted that he’s wasn’t catfishing Dina. He had never met her due to his mother’s failing health which the reality star also noted during Celebrity Big Brother.